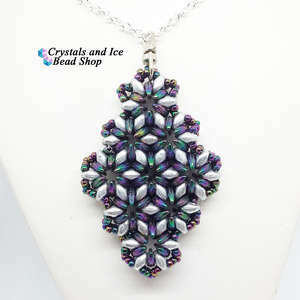 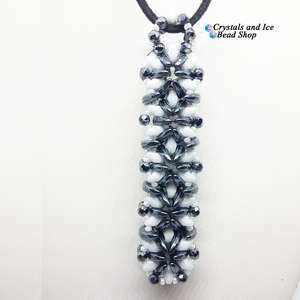 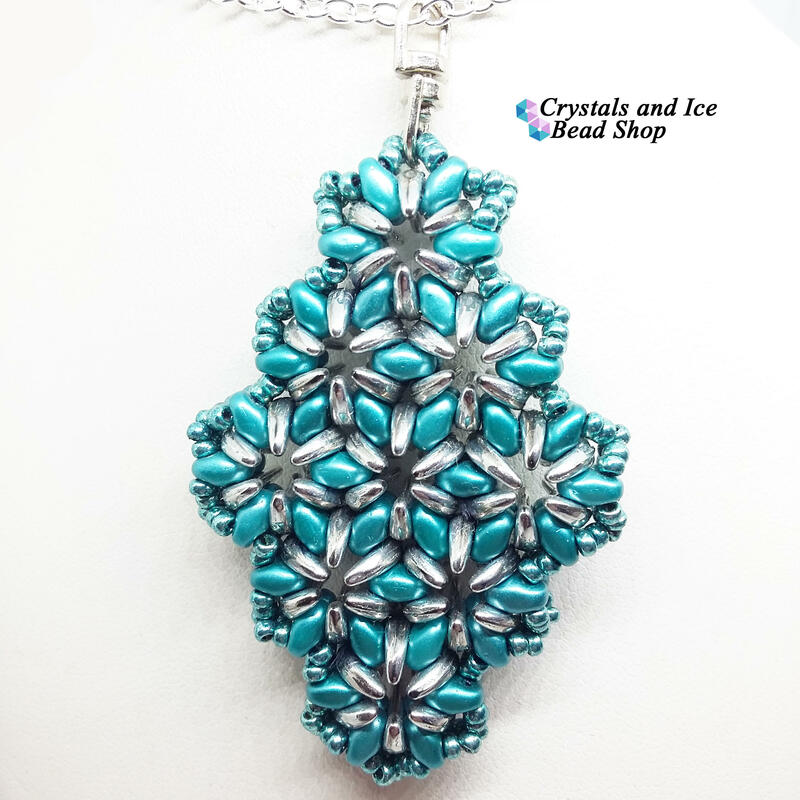 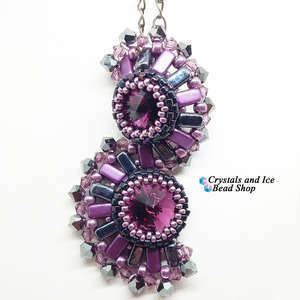 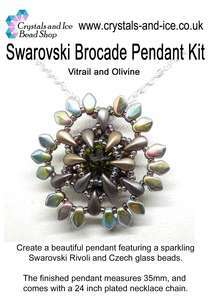 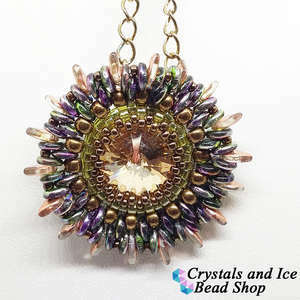 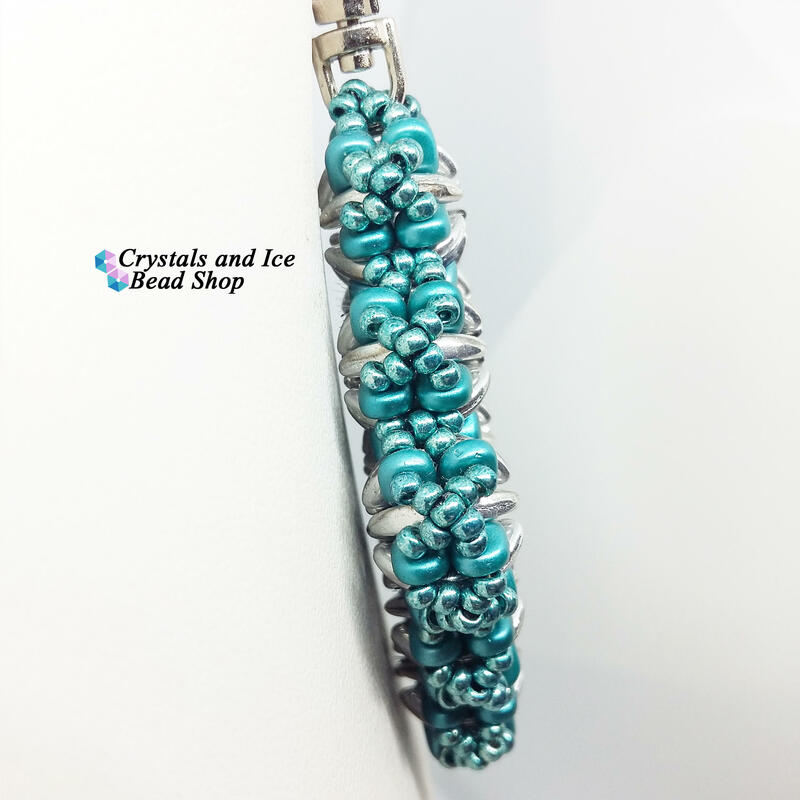 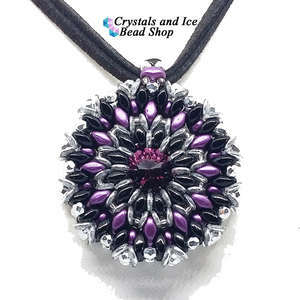 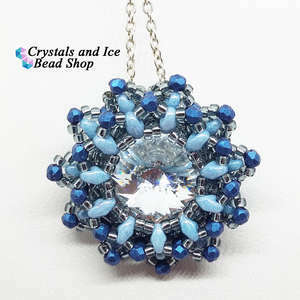 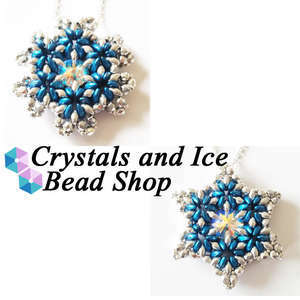 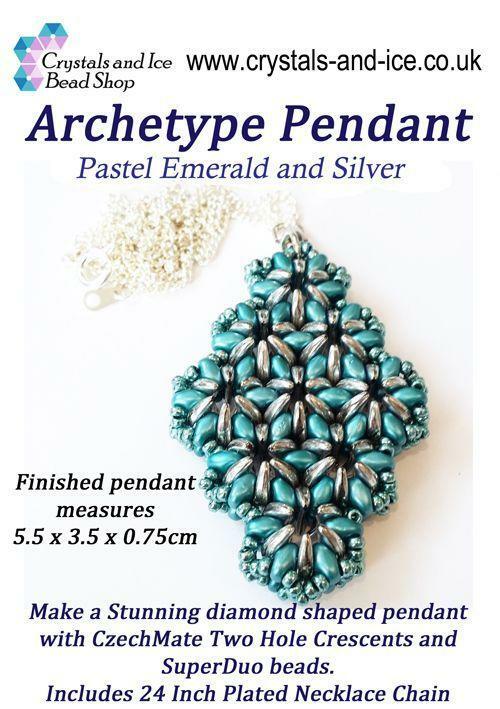 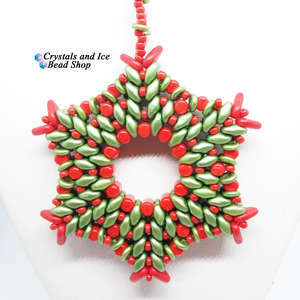 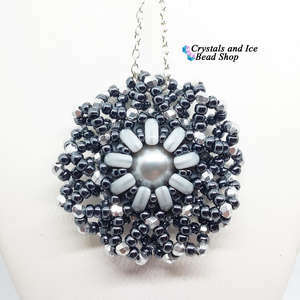 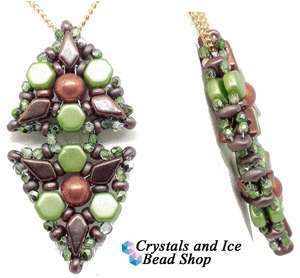 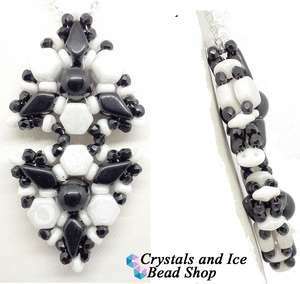 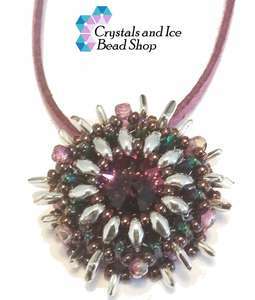 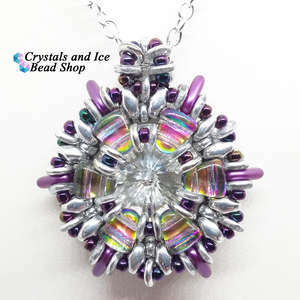 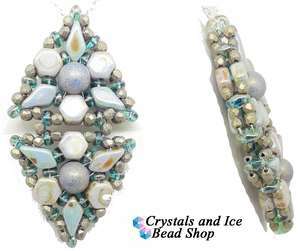 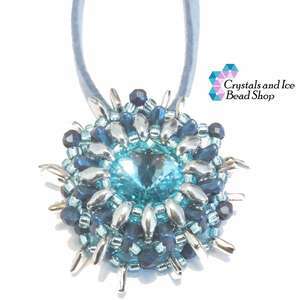 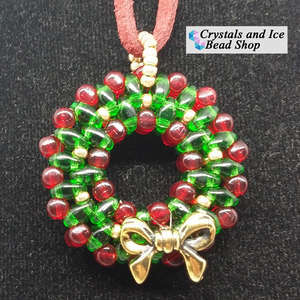 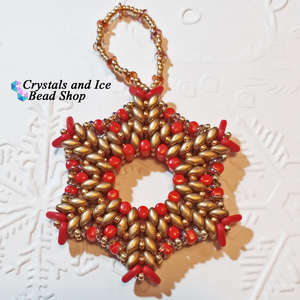 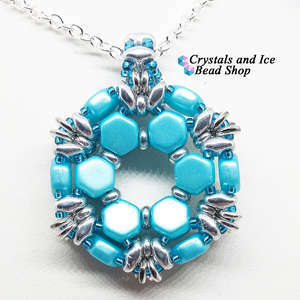 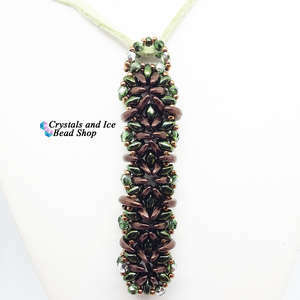 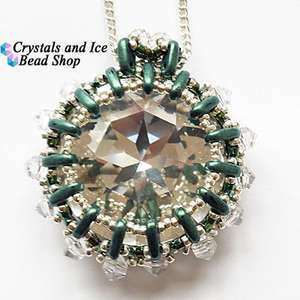 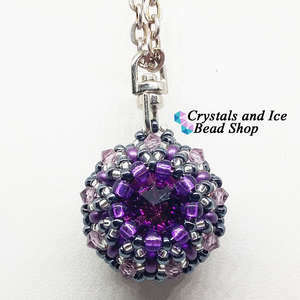 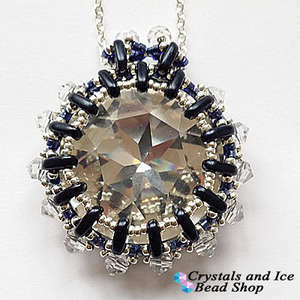 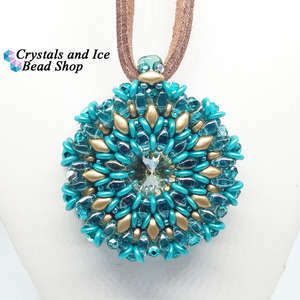 Make a stunning diamond shaped pendant with CzechMate Two Hole Crescents and SuperDuo beads. 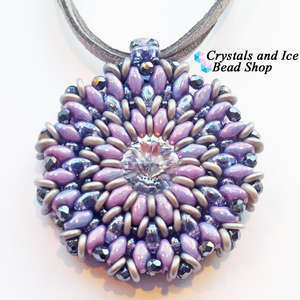 The finished pendant measures 5.5x3.5x0.75cm. 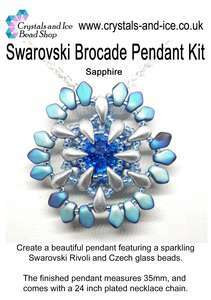 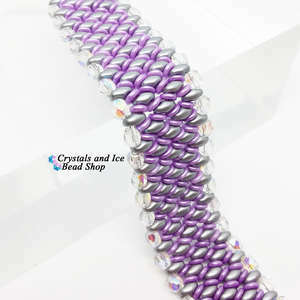 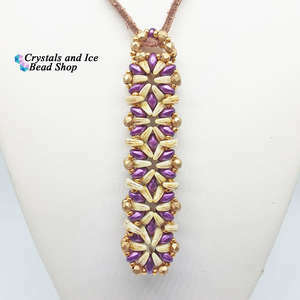 Includes 24 inch plated necklace chain.